For other uses, see Mouthwash (disambiguation). Mouthwash, mouth rinse, oral rinse, or mouth bath is a liquid which is held in the mouth passively or swilled around the mouth by contraction of the perioral muscles and/or movement of the head, and may be gargled, where the head is tilted back and the liquid bubbled at the back of the mouth. Usually mouthwashes are antiseptic solutions intended to reduce the microbial load in the oral cavity, although other mouthwashes might be given for other reasons such as for their analgesic, anti-inflammatory or anti-fungal action. Additionally, some rinses act as saliva substitutes to neutralize acid and keep the mouth moist in xerostomia (dry mouth). Cosmetic mouthrinses temporarily control or reduce bad breath and leave the mouth with a pleasant taste. Rinsing with water or mouthwash after brushing with a fluoride toothpaste can reduce the availability of salivary fluoride. This can lower the anti-cavity re-mineralization and antibacterial effects of fluoride. Fluoridated mouthwash may mitigate this effect or in high concentrations increase available fluoride. A group of experts discussing post brushing rinsing in 2012 found that although there was clear guidance given in many public health advice publications to “spit, avoid rinsing with water/excessive rinsing with water” they believed there was a limited evidence base for best practice. Common use involves rinsing the mouth with about 20-50 ml (2/3 fl oz) of mouthwash. The wash is typically swished or gargled for about half a minute and then spat out. Most companies suggest not drinking water immediately after using mouthwash. In some brands, the expectorate is stained, so that one can see the bacteria and debris. Mouthwash should not be used immediately after brushing the teeth so as not to wash away the beneficial fluoride residue left from the toothpaste. Similarly, the mouth should not be rinsed out with water after brushing. Patients were told to “spit don’t rinse” after toothbrushing as part of a National Health Service campaign in the UK. Gargling is where the head is tilted back, allowing the mouthwash to sit in the back of the mouth while exhaling, causing the liquid to bubble. Gargling is practiced in Japan for perceived prevention of viral infection. One commonly used way is with infusions or tea. In some cultures, gargling is usually done in private, typically in a bathroom at a sink so the liquid can be rinsed away. The most common use of mouthwash is commercial antiseptics, which are used at home as part of an oral hygiene routine. Examples of commercial mouthwashes companies include Cēpacol, Colgate, Corsodyl, Dentyl pH, Listerine, Odol, Oral-B, Sarakan, Scope, Tantum verde, and Biotene. Mouthwashes combine ingredients to treat a variety of oral conditions. Variations are common, and mouthwash has no standard formulation so its use and recommendation involves concerns about patient safety. Some manufacturers of mouthwash state that antiseptic and anti-plaque mouth rinse kill the bacterial plaque that causes cavities, gingivitis, and bad breath. It is, however, generally agreed that the use of mouthwash does not eliminate the need for both brushing and flossing. The American Dental Association asserts that regular brushing and proper flossing are enough in most cases, in addition to regular dental check-ups, although they approve many mouthwashes. For many patients, however, the mechanical methods could be tedious and time-consuming and additionally some local conditions may render them especially difficult. Chemotherapeutic agents, including mouthrinses, could have a key role as adjuncts to daily home care, preventing and controlling supragingival plaque, gingivitis and oral malodor. Minor and transient side effects of mouthwashes are very common, such as taste disturbance, tooth staining, sensation of a dry mouth, etc. Alcohol-containing mouthwashes may make dry mouth and halitosis worse since it dries out the mouth. Soreness, ulceration and redness may sometimes occur (e.g. aphthous stomatitis, allergic contact stomatitis) if the person is allergic or sensitive to mouthwash ingredients such as preservatives, coloring, flavors and fragrances. Such effects might be reduced or eliminated by diluting the mouthwash with water, using a different mouthwash (e.g. salt water), or foregoing mouthwash entirely. Prescription mouthwashes are used prior to and after oral surgery procedures such as tooth extraction or to treat the pain associated with mucositis caused by radiation therapy or chemotherapy. They are also prescribed for aphthous ulcers, other oral ulcers, and other mouth pain. Magic mouthwashes are prescription mouthwashes compounded in a pharmacy from a list of ingredients specified by a doctor. Despite a lack of evidence that prescription mouthwashes are more effective in decreasing the pain of oral lesions, many patients and prescribers continue to use them. There has been only one controlled study to evaluate the efficacy of magic mouthwash; it shows no difference in efficacy among the most common formulation and commercial mouthwashes such as chlorhexidine or a saline/baking soda solution. Current guidelines suggest that saline solution is just as effective as magic mouthwash in pain relief or shortening of healing time of oral mucositis from cancer therapies. The first known references to mouth rinsing is in Ayurveda for treatment of gingivitis. Later, in the Greek and Roman periods, mouth rinsing following mechanical cleansing became common among the upper classes, and Hippocrates recommended a mixture of salt, alum, and vinegar. The Jewish Talmud, dating back about 1,800 years, suggests a cure for gum ailments containing “dough water” and olive oil. Before Europeans came to the Americas, Native North American and Mesoamerican cultures used mouthwashes, often made from plants such as Coptis trifolia. Indeed, Aztec dentistry was more advanced than European dentistry of the age. Peoples of the Americas used salt water mouthwashes for sore throats, and other mouthwashes for problems such as teething and mouth ulcers. Anton van Leeuwenhoek, the famous 17th century microscopist, discovered living organisms (living, because they were mobile) in deposits on the teeth (what we now call dental plaque). He also found organisms in water from the canal next to his home in Delft. He experimented with samples by adding vinegar or brandy and found that this resulted in the immediate immobilization or killing of the organisms suspended in water. Next he tried rinsing the mouth of himself and somebody else with a mouthwash containing vinegar or brandy and found that living organisms remained in the dental plaque. He concluded—correctly—that the mouthwash either did not reach, or was not present long enough, to kill the plaque organisms. In 1892, German Richard Seifert invented mouthwash product Odol, which was produced by company founder Karl August Lingner (1861–1916) in Dresden. That remained the state of affairs until the late 1960s when Harald Loe (at the time a professor at the Royal Dental College in Aarhus, Denmark) demonstrated that a chlorhexidine compound could prevent the build-up of dental plaque. The reason for chlorhexidine’s effectiveness is that it strongly adheres to surfaces in the mouth and thus remains present in effective concentrations for many hours. Since then commercial interest in mouthwashes has been intense and several newer products claim effectiveness in reducing the build-up in dental plaque and the associated severity of gingivitis, in addition to fighting bad breath. Many of these solutions aim to control the Volatile Sulfur Compound (VSC)-creating anaerobic bacteria that live in the mouth and excrete substances that lead to bad breath and unpleasant mouth taste. For example, the number of mouthwash variants in the United States of America has grown from 15 (1970) to 66 (1998) to 113 (2012). Research in the field of microbiotas shows that only a limited set of microbes cause tooth decay, with most of the bacteria in the human mouth being harmless. Focused attention on cavity-causing bacteria such as Streptococcus mutans has led research into new mouthwash treatments that prevent these bacteria from initially growing. While current mouthwash treatments must be used with a degree of frequency to prevent this bacteria from regrowing, future treatments could provide a viable long term solution. Alcohol is added to mouthwash not to destroy bacteria but to act as a carrier agent for essential active ingredients such as menthol, eucalyptol and thymol which help to penetrate plaque. Sometimes a significant amount of alcohol (up to 27% vol) is added, as a carrier for the flavor, to provide “bite”. Because of the alcohol content, it is possible to fail a breathalyzer test after rinsing although breath alcohol levels return to normal after 10 minutes. In addition, alcohol is a drying agent, which encourages bacterial activity in the mouth, releasing more malodorous volatile sulfur compounds. Therefore, alcohol-containing mouthwash may temporarily worsen halitosis in those who already have it, or indeed be the sole cause of halitosis in other individuals. There is now sufficient evidence to accept the proposition that developing oral cancer is increased or contributed to by the use of alcohol-containing mouthwashes. Whilst many of these products may have been shown to be effective in penetrating oral microbial biofilms in vitro and reducing oral bacterial load, it would be wise to restrict their use to short-term therapeutic situations if needed. Perhaps the use of mouthwashes that do not contain alcohol may be equally effective. Further, mouthrinses should be prescribed by dentists, like any other medication. 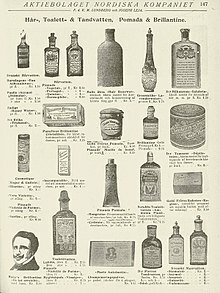 There may well be a reason for the use of alcohol-containing mouthrinses, but only for a particular situation and for a limited and controlled period of time. As such, patients should be provided with written instructions for mouthwash use, and mouthwash use should be restricted to adults for short durations and specific, clearly defined reasons. It is the opinion of the authors that, in light of the evidence currently available of the association of alcohol-containing mouthwashes with the development of oral cancer, it would be inadvisable for oral healthcare professionals to recommend the long-term use of alcohol-containing mouthwashes. The same researchers also state that the risk of acquiring oral cancer rises almost five times for users of alcohol-containing mouthwash who neither smoke nor drink (with a higher rate of increase for those who do). In addition, the authors highlight side effects from several mainstream mouthwashes that included dental erosion and accidental poisoning of children. The review garnered media attention and conflicting opinions from other researchers. Yinka Ebo of Cancer Research UK disputed the findings, concluding that “there is still not enough evidence to suggest that using mouthwash that contains alcohol will increase the risk of mouth cancer”. Studies conducted in 1985, 1995, 2003, and 2012 did not support an association between alcohol-containing mouth rinses and oral cancer. Andrew Penman, chief executive of The Cancer Council New South Wales, called for further research on the matter. In a March 2009 brief, the American Dental Association said “the available evidence does not support a connection between oral cancer and alcohol-containing mouthrinse”. Many newer brands of mouthwash are alcohol free, not just in response to consumer concerns about oral cancer, but also to cater for religious groups who abstain from alcohol consumption. In painful oral conditions such as aphthous stomatitis, analgesic mouthrinses (e.g. benzydamine mouthwash, or “Difflam”) are sometimes used to ease pain, commonly used before meals to reduce discomfort while eating. Cetylpyridinium chloride containing mouthwash (e.g. 0.05%) is used in some specialized mouthwashes for halitosis. Cetylpyridinium chloride mouthwash has less anti-plaque effect than chlorhexidine and may cause staining of teeth, or sometimes an oral burning sensation or ulceration. Chlorhexidine digluconate is a chemical antiseptic and is used in a 0.12-0.2% solution as a mouthwash. However, there is no evidence to support that higher concentrations are more effective in controlling dental plaque and gingivitis. It has anti-plaque action, but also some anti-fungal action. It is especially effective against Gram-negative rods. The proportion of Gram-negative rods increase as gingivitis develops so it is also used to reduce gingivitis. It is sometimes used as an adjunct to prevent dental caries and to treat gingivitis periodontal disease, although it does not penetrate into periodontal pockets well. Chlorhexidine mouthwash alone is unable to prevent plaque, so it is not a substitute for regular toothbrushing and flossing. Instead, chlorhexidine is more effective used as an adjunctive treatment with tooth brushing and flossing. In the short term, if toothbrushing is impossible due to pain, as may occur in primary herpetic gingivostomatitis, chlorhexidine is used as temporary substitute for other oral hygiene measures. It is not suited for use in acute necrotizing ulcerative gingivitis, however. Rinsing with chlorhexidine mouthwash before a tooth extraction reduces the risk of dry socket, a painful condition where the blood clot is lost from an extraction socket and bone is exposed to the oral cavity. Other uses of chlorhexidine mouthwash include prevention of oral candidiasis in immunocompromised persons, treatment of denture-related stomatitis, mucosal ulceration/erosions and oral mucosal lesions, general burning sensation and many other uses. Chlorhexidine has good substantivity (the ability of a mouthwash to bind to hard and soft tissues in the mouth). However, chlorhexidine binds to tannins, meaning that prolonged use in persons who consume coffee, tea or red wine is associated with extrinsic staining (i.e. removable staining) of teeth. Chlorhexidine mouthwash can also cause taste disturbance and/or alteration. Chlorhexidine is rarely associated with other issues like overgrowth of enterobacteria in persons with leukemia, desquamation and irritation of oral mucosa, salivary gland pain and swelling, and hypersensitivity reactions including anaphylaxis. A randomized clinical trial conducted in Rabat university in Morocco found better results in plaque inhibition when chlorohexidine with alcohol base 0.12% was used, when compared to an alcohol free 0.1% chlorhexidine mouthrinse. Chlorhexidine mouthrinses increase staining score of teeth over a period of time. Hexetidine  also has anti-plaque, analgesic, astringent and anti-malodor properties but is considered as an inferior alternative to Chlorhexidine. In traditional Ayurvedic medicine, the use of oil mouthwashes is called “Kavala” (“oil swishing”) or “Gandusha”, and this practice has more recently been re-marketed by the complimentary and alternative medicine industry as “oil pulling“. Its promoters claim it works by “pulling out” “toxins”, which are known as ama in Ayurvedic medicine, and thereby reducing inflammation. Ayurvedic literature suggests oil pulling is capable of improving oral and systemic health, including a benefit in conditions such as headaches, migraines, diabetes mellitus, asthma, and acne, as well as whitening teeth. Oil pulling has received little study and there is little evidence to support claims made by the technique’s advocates. When compared with chlorhexidine in one small study, it was found to be less effective at reducing oral bacterial load, otherwise the health claims of oil pulling have failed scientific verification or have not been investigated. There is a report of lipid pneumonia caused by accidental inhalation of the oil during oil pulling. The mouth is rinsed with approximately one tablespoon of oil for 10–20 minutes then spat out. Sesame oil, coconut oil and ghee are traditionally used, but newer oils such as sunflower oil are also used. Phenolic compounds include essential oil constituents that have some antibacterial properties, like phenol, thymol, eugenol, or eucalyptol. Essential oils are oils which have been extracted from plants. Mouthwashes based on essential oils could be more effective than traditional mouthcare – for anti-gingival treatments. They have been found effective in reducing halitosis, and are being used in several commercial mouthwashes. Anti-cavity mouth rinses use fluoride to protect against tooth decay. Most people using fluoridated toothpastes do not require fluoride-containing mouth rinses, rather fluoride mouthwashes are sometimes used in individuals who are at high risk of dental decay, due to dental caries or people with xerostomia. Flavoring agents include sweeteners such as sorbitol, sucralose, sodium saccharin, and xylitol, which stimulate salivary function due to their sweetness and taste and helps restore the mouth to a neutral level of acidity. Xylitol rinses double as a bacterial inhibitor and have been used as substitute for Alcohol to avoid dryness of mouth associated with Alcohol. Hydrogen peroxide can be used as an oxidizing mouthwash (e.g. Peroxyl, 1.5%). It kills anaerobic bacteria, and also has a mechanical cleansing action when it froths as it comes into contact with debris in mouth. It is often used in the short term to treat acute necrotising ulcerative gingivitis. Side effects with prolonged use might occur, including hypertrophy of the lingual papillae. Enzymes and proteins such as Lactoperoxidase, Lysozyme, Lactoferrin have been used in mouthrinses (e.g. Biotene) to reduce oral bacteria and hence the acid produced by bacteria. Oral lidocaine is useful for the treatment of mucositis symptoms (inflammation of mucous membranes) that is induced by radiation or chemotherapy. There is evidence that lidocaine anesthetic mouthwash has the potential to be systemically absorbed when it was tested in patients with oral mucositis who underwent a bone marrow transplant. Methyl salicylate functions as an anti-septic, anti-inflammatory, analgesic, flavoring, and fragrance Methyl salicylate]] has some anti-plaque action, but less than chlorhexidine. Methyl salicylate does not not stain teeth. Nystatin suspension is an antifungal ingredient used for the treatment of oral candidiasis. A randomized clinical trial found promising results in controlling and reducing dentine hypersensitivity when potassium oxalate mouthrinse was used in conjugation with toothbrushing. A 2005 study found that gargling three times a day with simple water or with a Povidone-iodine solution was effective in preventing upper respiratory infection and decreasing the severity of symptoms if contracted. Other sources attribute the benefit to a simple placebo effect. Sanguinarine-containing mouthwashes are marketed as anti-plaque and anti-malodor. It is a toxic alkaloid herbal extract, obtained from plants such as Sanguinaria canadensis (Bloodroot), Argemone mexicana (Mexican Prickly Poppy) and others. However, its use is strongly associated with development of leukoplakia (a white patch in the mouth), usually in the buccal sulcus. This type of leukoplakia has been termed “sanguinaria-associated keratosis” and more than 80% of people with leukoplakia in the vestibule of the mouth have used this substance. Upon stopping contact with the causative substance, the lesions may persist for years. Although this type of leukoplakia may show dysplasia, the potential for malignant transformation is unknown. Ironically, elements within the complimentary and alternative medicine industry promote the use of sanguinaria as a therapy for cancer. Salt water mouth wash is made by dissolving 0.5–1 teaspoon of table salt into a cup of water, which is as hot as possible without causing discomfort in the mouth. Saline has a mechanical cleansing action and an antiseptic action as it is a hypertonic solution in relation to bacteria, which undergo lysis. The heat of the solution produces a therapeutic increase in blood flow (hyperemia) to the surgical site, promoting healing. Hot salt water mouthwashes also encourage the draining of pus from dental abscesses. Conversely, if heat is applied on the side of the face (e.g., hot water bottle) rather than inside the mouth, it may cause a dental abscess to drain extra-orally, which is later associated with an area of fibrosis on the face (see cutaneous sinus of dental origin). Gargling with salt water is said to reduce the symptoms of a sore throat. Hot salt water mouth baths (or hot salt water mouth washes, sometimes abbreviated to “HSWMW”) are also routinely used after oral surgery, to keep food debris out of healing wounds and to prevent infection. Some oral surgeons consider salt water mouthwashes the mainstay of wound cleanliness after surgery. In dental extractions, hot salt water mouthbaths should start about 24 hours after a dental extraction. The term mouth bath implies that the liquid is passively held in the mouth rather than vigorously swilled around, which could dislodge a blood clot. Once the blood clot has stabilized, the mouth wash can be used more vigorously. These mouthwashes tend to be advised about 6 times per day, especially after meals to remove food from the socket. Sodium lauryl sulfate (SLS) is used as a foaming agent in many oral hygiene products including many mouthwashes. Some may suggest that it is probably advisable to use mouthwash at least an hour after brushing with toothpaste when the toothpaste contains SLS, since the anionic compounds in the SLS toothpaste can deactivate cationic agents present in the mouthrinse. Sucralfate is a mucosal coating agent, composed of an aluminum salt of sulfated sucrose. It is not recommended for use in the prevention of oral mucositis in head and neck cancer patients receiving radiotherapy or chemoradiation due to a lack of efficacy found in a well-designed, randomized controlled trial. Tetracycline is an antibiotic which may sometimes be used as a mouthwash in adults (it causes red staining of teeth in children). It is sometimes use for herpetiforme ulceration (an uncommon type of aphthous stomatitis), but prolonged use may lead to oral candidiasis as the fungal population of the mouth overgrows in the absence of enough competing bacteria. :209 Similarly, Minocycline mouthwashes of 0.5% concentrations can relieve symptoms of recurrent aphthous stomatitis. Erythromycin is similar. Triclosan is a non-ionic chlorinate bisphenol antiseptic found in some mouthwashes. When used in mouthwash (e.g. 0.03%), there is moderate substantivity, broad spectrum anti-bacterial action, some anti-fungal action and significant anti-plaque effect, especially when combined with copolymer or zinc citrate. Triclosan does not cause staining of the teeth. The safety of triclosan has been questioned. ^ a b c Matthews RW (July 2003). “Hot salt water mouth baths”. British Dental Journal. 195 (1): 3. doi:10.1038/sj.bdj.4810318. PMID 12856008. ^ a b c “There is More to Your Mouthwash Than a Minty Taste”. ^ “Should I use mouthwash?”. ^ “Learn More About Mouthrinses”. ^ a b Mystikos C, Yoshino T, Ramberg P, Birkhed D (2011). “Effect of post-brushing mouthrinse solutions on salivary fluoride retention”. Swedish Dental Journal. 35 (1): 17–24. PMID 21591596. ^ Chesters RK, Huntington E, Burchell CK, Stephen KW (1992). “Effect of oral care habits on caries in adolescents”. Caries Research. 26 (4): 299–304. doi:10.1159/000261456. PMID 1423447. ^ Zamataro CB, Tenuta LM, Cury JA (June 2008). “Low-fluoride dentifrice and the effect of postbrushing rinsing on fluoride availability in saliva”. European Archives of Paediatric Dentistry. 9 (2): 90–3. doi:10.1007/BF03262616. PMID 18534177. ^ Public Health England, Department of Health. Delivering better oral health: an evidence-based toolkit for prevention, 3rd edition, March 2017 https://www.gov.uk/government/uploads/system/uploads/attachment_data/file/605266/Delivering_better_oral_health.pdf. ^ Pitts N, Duckworth RM, Marsh P, Mutti B, Parnell C, Zero D (April 2012). “Post-brushing rinsing for the control of dental caries: exploration of the available evidence to establish what advice we should give our patients”. British Dental Journal. 212 (7): 315–20. doi:10.1038/sj.bdj.2012.260. PMID 22498529. ^ a b Kozlovsky A, Goldberg S, Natour I, Rogatky-Gat A, Gelernter I, Rosenberg M (June 1996). “Efficacy of a 2-phase oil: water mouthrinse in controlling oral malodor, gingivitis, and plaque”. Journal of Periodontology. 67 (6): 577–82. doi:10.1902/jop.1996.67.6.577. PMID 8794967. ^ a b c Rosenberg M, Gelernter I, Barki M, Bar-Ness R (January 1992). “Day-long reduction of oral malodor by a two-phase oil:water mouthrinse as compared to chlorhexidine and placebo rinses”. Journal of Periodontology. 63 (1): 39–43. doi:10.1902/jop.1992.63.1.39. PMID 1552460. ^ Rosenberg M (1990). “Bad breath, diagnosis and treatment”. University of Toronto Dental Journal. 3 (2): 7–11. PMID 2076696. ^ “Oral health promotion messages: “Spit don’t rinse““. ^ a b Pubchem. “Eucalyptol | C10H18O – PubChem”. pubchem.ncbi.nlm.nih.gov. Retrieved 1 December 2016. ^ Gunsolley JC (December 2006). “A meta-analysis of six-month studies of antiplaque and antigingivitis agents”. Journal of the American Dental Association. 137 (12): 1649–57. doi:10.14219/jada.archive.2006.0110. PMID 17138709. ^ Tal H, Rosenberg M (June 1990). “Estimation of dental plaque levels and gingival inflammation using a simple oral rinse technique”. Journal of Periodontology. 61 (6): 339–42. doi:10.1902/jop.1990.61.6.339. PMID 2366142. 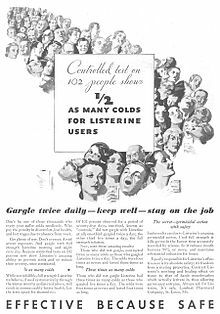 ^ “Listerine no replacement for flossing?”. NBC News. 7 January 2005. Retrieved 14 October 2013. ^ “Should I use Mouthwash: “When to Use Mouthwash““. April 2015. ^ Cortelli JR, Thénoux RE (2007). “The effect of mouthrinses against oral microorganisms”. Brazilian Oral Research. 21: 23–8. doi:10.1590/S1806-83242007000500005. ^ Oneschuk D, Hagen N, MacDonald N (2012). Palliative Medicine: A case-based manual (3rd ed.). Oxford University Press. p. 126. ISBN 9780191628733. ^ “Medications, diseases among factors for dry mouth”. ^ a b c Tom, Wah-Chih (3 July 2007). “Magic Mouthwash” (PDF). Pharmacist’s Letter/Prescriber’s Letter. 23 (230703): 1–5. Retrieved 9 December 2009. ^ Otterholt, Randall. “Magic Mouthwash”. Retrieved 5 December 2009. ^ “Magic Mouthwash”. Pharmacist’s Letter. Therapeutic Research Center. Retrieved 5 December 2009. ^ a b c d Singh A, Purohit B (April 2011). “Tooth brushing, oil pulling and tissue regeneration: A review of holistic approaches to oral health”. Journal of Ayurveda and Integrative Medicine. 2 (2): 64–8. doi:10.4103/0975-9476.82525. PMC 3131773. PMID 21760690. ^ Van Zyl AW, Van Heerden WF (2014). “Mouthwash: A review for South African health care workers”. South African Family Practice. 52 (2): 121–7. doi:10.1080/20786204.2010.10873950. hdl:2263/14207. ^ Fischman SL (October 1997). “The history of oral hygiene products: how far have we come in 6000 years?”. Periodontology 2000. 15: 7–14. doi:10.1111/j.1600-0757.1997.tb00099.x. PMID 9643227. ^ Shifman A, Orenbuch S, Rosenberg M (October 2002). “Bad breath–a major disability according to the Talmud”. The Israel Medical Association Journal. 4 (10): 843–5. PMID 12389360. ^ a b c Keoke ED, Porterfield, Kay Marie (2002). Encyclopedia of American Indian contributions to the world 15,000 years of inventions and innovations. New York, NY: Facts on File. p. 180. ISBN 978-1-4381-0990-9. ^ Lax A (27 October 2005). Toxin: The cunning of bacterial poisons. Oxford University Press. ISBN 978-0-19-157850-2. Retrieved 26 November 2013. ^ Budtz-Jörgensen E, Löe H (1972). “Chlorhexidine as a denture disinfectant in the treatment of denture stomatitis”. Scandinavian Journal of Dental Research. 80 (6): 457–64. doi:10.1111/j.1600-0722.1972.tb00314.x. PMID 4575037. ^ Bosy A, Kulkarni GV, Rosenberg M, McCulloch CA (January 1994). “Relationship of oral malodor to periodontitis: evidence of independence in discrete subpopulations”. Journal of Periodontology. 65 (1): 37–46. doi:10.1902/jop.1994.65.1.37. PMID 8133414. ^ Loesche WJ, Kazor C (2002). “Microbiology and treatment of halitosis”. Periodontology 2000. 28: 256–79. doi:10.1034/j.1600-0757.2002.280111.x. PMID 12013345. ^ Yaegaki K, Sanada K (1992). “Effects of a two-phase oil-water mouthwash on halitosis”. Clinical Preventive Dentistry. 14 (1): 5–9. PMID 1499240. ^ Aichner T, Coletti P (2013). “Customers’ online shopping preferences in mass customization”. Journal of Direct, Data and Digital Marketing Practice. 15 (1): 20–35. doi:10.1057/dddmp.2013.34. ^ “Hacking the Microbiome for Fun and Profit: Can Killing Just One Mouth Bacterium Stop Cavities?”. Discover Magazine. 2 February 2012. Retrieved 31 October 2012. ^ Lachenmeier DW, Keck-Wilhelm A, Sauermann A, Mildau G (2008). “Safety Assessment of Alcohol-Containing Mouthwashes and Oral Rinses”. SOFW Journal. 134 (10): 70–8. ^ “Dangers of Drinking Mouthwash | Alcohol Rehab Advice”. alcoholrehabadvice.com. Retrieved 1 December 2016. ^ a b “Behind the label: Listerine teeth and gum defence”. The Ecologist. Retrieved 1 December 2016. ^ a b Cole P, Rodu B, Mathisen A (August 2003). “Alcohol-containing mouthwash and oropharyngeal cancer: a review of the epidemiology”. Journal of the American Dental Association. 134 (8): 1079–87. doi:10.14219/jada.archive.2003.0322. PMID 12956348. ^ Carretero Peláez MA, Esparza Gómez GC, Figuero Ruiz E, Cerero Lapiedra R (2004). “Alcohol-containing mouthwashes and oral cancer. Critical analysis of literature”. Medicina Oral. 9 (2): 120–3, 116–20. PMID 14990877. ^ Lachenmeier DW (November 2008). “Safety evaluation of topical applications of ethanol on the skin and inside the oral cavity”. Journal of Occupational Medicine and Toxicology. 3: 26. doi:10.1186/1745-6673-3-26. PMC 2596158. PMID 19014531. ^ McCullough MJ, Farah CS (December 2008). “The role of alcohol in oral carcinogenesis with particular reference to alcohol-containing mouthwashes”. Australian Dental Journal. 53 (4): 302–5. doi:10.1111/j.1834-7819.2008.00070.x. PMID 19133944. ^ Farah C, McIntosh L, McCullough M (2009). “Mouthwashes”. Australian Prescriber. 32: 162–4. Archived from the original on 9 February 2010. ^ Shulman JD, Wells LM (1997). “Acute ethanol toxicity from ingesting mouthwash in children younger than 6-years of age” (PDF). Pediatric Dentistry. 19 (6): 404–8. PMID 9348605. ^ Weaver, Clair (11 January 2009). “Mouthwash linked to cancer”. Daily Telegraph. News Ltd. Retrieved 11 January 2009. ^ Ebo, Yinka (14 January 2009). “Does mouthwash cause cancer?”. Cancer Research UK. Retrieved 20 June 2009. ^ Mashberg A, Barsa P, Grossman ML (May 1985). “A study of the relationship between mouthwash use and oral and pharyngeal cancer”. Journal of the American Dental Association. 110 (5): 731–4. doi:10.14219/jada.archive.1985.0422. PMID 3859544. ^ Elmore JG, Horwitz RI (September 1995). “Oral cancer and mouthwash use: evaluation of the epidemiologic evidence”. Otolaryngology–Head and Neck Surgery. 113 (3): 253–61. doi:10.1016/S0194-5998(95)70114-1. PMID 7675486. ^ Gandini S, Negri E, Boffetta P, La Vecchia C, Boyle P (2012). “Mouthwash and oral cancer risk quantitative meta-analysis of epidemiologic studies”. Annals of Agricultural and Environmental Medicine. 19 (2): 173–80. PMID 22742785. ^ Weaver, Clair (11 January 2009). “Mouthwash linked to cancer”. The Daily Telegraph. Retrieved 12 January 2009. ^ a b c Cawson RA, Odell EW, Porter S (2002). Cawson’s Essentials of Oral Pathology and Oral Medicine (7th ed.). Edinburgh: Churchill Livingstone. ISBN 978-0443071065. ^ Fedorowicz Z, Aljufairi H, Nasser M, Outhouse TL, Pedrazzi V (May 2016). “WITHDRAWN: Mouthrinses for the treatment of halitosis”. The Cochrane Database of Systematic Reviews (5): CD006701. doi:10.1002/14651858.CD006701.pub2. PMID 27228022. ^ a b c d e f g h i j k l m n Scully C (2013). Oral and maxillofacial medicine : the basis of diagnosis and treatment (3rd ed.). Edinburgh: Churchill Livingstone. pp. 39, 41. ISBN 9780702049484. ^ Ribeiro LG, Hashizume LN, Maltz M (May 2007). “The effect of different formulations of chlorhexidine in reducing levels of mutans streptococci in the oral cavity: A systematic review of the literature”. Journal of Dentistry. 35 (5): 359–70. doi:10.1016/j.jdent.2007.01.007. PMID 17391828. ^ a b c d e James P, Worthington HV, Parnell C, Harding M, Lamont T, Cheung A, Whelton H, Riley P (March 2017). “Chlorhexidine mouthrinse as an adjunctive treatment for gingival health”. The Cochrane Database of Systematic Reviews. 3: CD008676. doi:10.1002/14651858.CD008676.pub2. PMID 28362061. ^ a b c d e f g h i j k l “Mouthwashes, gargles, and dentifrices”. British National Formulary March 2014. BMJ Group and the Royal Pharmaceutical Society of Great Britain 2014. ^ Daly B, Sharif MO, Newton T, Jones K, Worthington HV (December 2012). “Local interventions for the management of alveolar osteitis (dry socket)”. The Cochrane Database of Systematic Reviews. 12: CD006968. doi:10.1002/14651858.cd006968.pub2. PMID 23235637. ^ Ennibi O, Lakhdar L, Bouziane A, Bensouda Y, Abouqal R (January 2013). “Chlorhexidine alcohol base mouthrinse versus Chlorhexidine formaldehyde base mouthrinse efficacy on plaque control: double blind, randomized clinical trials”. Medicina Oral, Patologia Oral y Cirugia Bucal. 18 (1): e135–9. PMC 3548633. PMID 23229237. ^ Herrera, David (March 2013). “Chlorhexidine mouthwash reduces plaque and gingivitis”. Evidence-Based Dentistry. 14 (1): 17–18. doi:10.1038/sj.ebd.6400915. ISSN 1462-0049. PMID 23579302. ^ “Effect of hexetidine mouthwash – systematic review”. Archived from the original on 4 March 2016. Retrieved 12 October 2015. ^ a b c d e Julie Beck (19 March 2014). “Swishing With Oil for Oral Health: Not Recommended”. The Atlantic. ^ Grush, Loren (24 March 2014). “What is oil pulling? Examining the ancient detoxifying ritual”. Fox News Channel. Retrieved 24 March 2014. ^ a b c d Bethonie Butler (20 March 2014). “Everyone is talking about ‘oil pulling.’ But does this health practice actually work?”. The Washington Post. Washington State, U.S.A.
^ Asokan S, Emmadi P, Chamundeswari R (2009). “Effect of oil pulling on plaque induced gingivitis: a randomized, controlled, triple-blind study”. Indian Journal of Dental Research. 20 (1): 47–51. doi:10.4103/0970-9290.49067. PMID 19336860. ^ “A second look at oil pulling as dental home care therapy”. ^ Kim JY, Jung JW, Choi JC, Shin JW, Park IW, Choi BW (February 2014). “Recurrent lipoid pneumonia associated with oil pulling”. The International Journal of Tuberculosis and Lung Disease. 18 (2): 251–2. doi:10.5588/ijtld.13.0852. PMID 24429325. ^ “Oil Pulling Your Leg”. 12 March 2014. ^ “Does ‘Oil-Pulling’ Actually Have Health Benefits?”. ^ a b Stoeken JE, Paraskevas S, van der Weijden GA (July 2007). “The long-term effect of a mouthrinse containing essential oils on dental plaque and gingivitis: a systematic review”. Journal of Periodontology. 78 (7): 1218–28. doi:10.1902/jop.2007.060269. PMID 17608576. ^ “Essential oils compared to chlorhexidine – systemic review”. Archived from the original on 4 March 2016. Retrieved 12 October 2015. ^ Levy SM (May 2003). “An update on fluorides and fluorosis”. Journal. 69 (5): 286–91. PMID 12734021. ^ Giertsen E, Emberland H, Scheie AA (1999). “Effects of mouth rinses with xylitol and fluoride on dental plaque and saliva”. Caries Research. 33 (1): 23–31. doi:10.1159/000016492. PMID 9831777. ^ Wennström J, Lindhe J (April 1979). “Effect of hydrogen peroxide on developing plaque and gingivitis in man”. Journal of Clinical Periodontology. 6 (2): 115–30. doi:10.1111/j.1600-051x.1979.tb02190.x. PMID 379049. ^ Hoogedoorn H (1985). “Activation of the salivary peroxidase system: clinical studies”. In Tenovuo JO, Pruitt KM (eds.). The Lactoperoxidase system: chemistry and biological significance. New York: Dekker. pp. 217–228. ISBN 978-0-8247-7298-7. ^ Yamashita, Soichiro; Sato, Shigehito; Kakiuchi, Yoshihiro; Miyabe, Masayuki; Yamaguchi, Hiroshi (November 2002). “Lidocaine Toxicity During Frequent Viscous Lidocaine Use for Painful Tongue Ulcer”. Journal of Pain and Symptom Management. 24 (5): 543–545. doi:10.1016/S0885-3924(02)00498-0. ISSN 0885-3924. ^ Elad, Sharon; Cohen, Galit; Zylber-Katz, Ester; Findler, Moti; Galili, Dan; Garfunkel, Adi A.; Or, Reuven (27 February 2007). “Systemic absorption of lidocaine after topical application for the treatment of oral mucositis in bone marrow transplantation patients”. Journal of Oral Pathology & Medicine. 28 (4): 170–172. doi:10.1111/j.1600-0714.1999.tb02018.x. ISSN 0904-2512. ^ “NYSTATIN- nystatin suspension”. Qualitest Pharmaceuticals. Retrieved 17 March 2018. ^ Lynch, Michael C.; Perfekt, Roland; McGuire, James A.; Milleman, Jeffery; Gallob, John; Amini, Pejmon; Milleman, Kimberly (2 May 2018). “Potassium oxalate mouthrinse reduces dentinal hypersensitivity: A randomized controlled clinical study”. Journal of the American Dental Association. 149 (7): 608–618. doi:10.1016/j.adaj.2018.02.027. ISSN 1943-4723. PMID 29728195. ^ Satomura K, Kitamura T, Kawamura T, Shimbo T, Watanabe M, Kamei M, Takano Y, Tamakoshi A (November 2005). “Prevention of upper respiratory tract infections by gargling: a randomized trial”. American Journal of Preventive Medicine. 29 (4): 302–7. doi:10.1016/j.amepre.2005.06.013. PMID 16242593. ^ Leukoplakia Archived 3 July 2013 at the Wayback Machine, (pdf format) hosted by the American Academy of Oral and Maxillofacial Pathology. Page accessed on 19 December 2006. ^ Neville BW, Damm DD, Allen CM, Bouquot JE (2002). Oral & maxillofacial pathology (2nd ed.). Philadelphia: W.B. Saunders. pp. 337–345. ISBN 978-0721690032. ^ a b c d e f Wray D, Stenhouse D, Lee D, Clark AJ (2003). Textbook of General and Oral Surgery. Edinburgh [etc. ]: Churchill Livingstone. pp. 199, 210, 222. ISBN 978-0443070839. ^ Edwards C, Stillman P (2006). Minor Illness or Major Disease? : The Clinical Pharmacist in the Community (4th ed.). London [u.a. ]: Pharmaceutical Press. p. 223. ISBN 9780853696278. ^ O’Conner, Anahad (27 September 2010). “The Claim: Gargling with Salt Water Can Ease Cold Symptoms”. The New York Times. Retrieved 12 January 2014. ^ Rosenberg M (April 2002). “The science of bad breath”. Scientific American. 286 (4): 72–9. Bibcode:2002SciAm.286d..72R. doi:10.1038/scientificamerican0402-72. PMID 11905111. ^ a b Saunders DP, Epstein JB, Elad S, Allemano J, Bossi P, van de Wetering MD, Rao NG, Potting C, Cheng KK, Freidank A, Brennan MT, Bowen J, Dennis K, Lalla RV (November 2013). “Systematic review of antimicrobials, mucosal coating agents, anesthetics, and analgesics for the management of oral mucositis in cancer patients”. Supportive Care in Cancer. 21 (11): 3191–207. doi:10.1007/s00520-013-1871-y. PMID 23832272. ^ Yarom, Noam; Zelig, Keren; Epstein, Joel B; Gorsky, Meir (2017). “The efficacy of minocycline mouth rinses on the symptoms associated with recurrent aphthous stomatitis: A randomized, double-blind, crossover study assessing different doses of oral rinse”. Oral Surgery, Oral Medicine, Oral Pathology and Oral Radiology. 123 (6): 675–679. doi:10.1016/j.oooo.2017.02.013. PMID 28411006. ^ Greenberg MS, Glick M (2003). Burket’s oral medicine diagnosis & treatment (10th ed.). Hamilton, Ont. : BC Decker. ISBN 978-1550091861. ^ “Products That Contain Triclosan”. drbenkim.com. ^ “New studies show dangers of Triclosan in Toothpastes and Mouthwash”. New York Orthodontists. 15 August 2012. ^ “FAMILY GENTLE DENTAL CARE – Mouth Rinses”. ^ McNamara, Melissa. “Zinc for Bad Breath (Halitosis)”. LIVESTRONG.COM. Retrieved 1 December 2016.